New proposals of East Asian harmony must be studied in the context of the growing importance of Group of 20 major and emerging nations and not just in the light of ground realities within the Association of South East Asian Nations. The Association of South East Asian Nations (ASEAN) is dismayed at the ferocity of the latest clashes between Thailand's security forces, including soldiers, and the anti-government protesters in Bangkok. Thailand is a founding member of the ASEAN. The Thai authorities and protesters are still coming to terms with the murky political meaning of Saturday's clashes, the worst since the 1992 riots in Bangkok against the country's military powers. As at the start of the current month-long crisis, the issue still remains a simple but profound choice between a really representative order and a system with considerable political space for the military establishment. For the 10-member ASEAN, which aspires to stay as the prime mover for ensuring inter-state harmony in East Asia, the latest Thai crisis could not have occurred at a more awkward moment. Already, the association has been in a state of embarrassment over the political scene in the military-ruled Myanmar, another member-state. Having promised a “democracy-restoring general election,” the Myanmar junta, known as the State Peace and Development Council (SPDC), recently crafted the relevant poll laws in such a manner as to dissuade the dissident National League for Democracy from thinking of contesting. A level-playing poll arena is something that the SPDC is not prepared to extend to those wishing to participate in the promised transition to democracy. Until recently, major ASEAN powers did not feel compelled to bracket Thailand with Myanmar as being equally burdensome to the association. For a number of years now, the ASEAN leaders, excluding the SPDC minions but including the Thai politicians, have felt frustrated over the Myanmar junta's hostility to the idea of democracy as widely understood. In contrast, Thailand's fellow-members in the ASEAN did not, until recently, feel the need to see the association's collective future under the prism of Thailand's unabated political crisis since the 2006 military coup there. Nearly three years ago, when Thailand took up the ASEAN's rotating Chair, the other members even expressed confidence that Bangkok, with its tradition of statecraft, could be trusted to lead well. However, Thailand's now-completed role as the ASEAN Chair belied such expectations, with the prolonged political crisis in Bangkok being a major contributory factor. And, the latest mood in the collective ASEAN forum over Thailand is one of deep dismay laced with a degree of plain-speak criticism. Responding to media queries on the political clashes and killings in Bangkok on April 10, the Singapore Foreign Ministry took a decisive stand. Singapore said: “If the situation [in Bangkok] is unresolved, it will have serious implications for Thailand's future and the future of the ASEAN. Singapore hopes that all Thais, whatever their political views, will place the interests of the country first and reach a durable compromise that will enable Thailand to return to normality as soon as possible. This is important not just for the Thai people but also for the ASEAN as a community. The ASEAN cannot progress if one of its most important members remains mired in political instability.” Singapore's views echo the sentiments of several other ASEAN players as well. Such forthright comments, even as an advice of goodwill, are rare within the ASEAN bloc. This should reflect the extent of the ASEAN's collective concerns over its future role in East Asia at this sensitive time. Some critical factors for political stability in East Asia are the continuing rise of China as a potential superpower, the hint of a changing axis of focus in America's foreign policy under President Obama, and his new nuclear-posture deal with Russia ahead of the ongoing nuclear security summit he is hosting. Unsurprisingly in these circumstances, Singapore Prime Minister Lee Hsien Loong has now proposed the idea of an informal ASEAN+8 grouping. The idea is that such a new group could gather on the margins of the summit meetings of the Asia-Pacific Economic Cooperation (APEC) forum whenever they are held in the Asian continent. The eight countries, as the ASEAN's dialogue partners in this proposed process, will be, in alphabetical order: Australia, China, India, Japan, New Zealand, Republic of Korea (South Korea), Russia, and the United States. Of these eight, only Russia and the U.S. are currently not members of the East Asia Summit (EAS), a group convened by the ASEAN for summit-level meetings every year. Singapore's proposal will be studied by the ASEAN Foreign Ministers who are expected to assess the relative merits of two other initiatives, one each by Japan and Australia, as well. The Japanese idea of an East Asian Community is also aimed at creating an EAS-Plus forum, with no finality yet about the possible new members and the logistics of a larger dialogue. Another proposal doing the rounds is Australia's push for an Asia Pacific Community. Here too, Canberra has left the clarity on all relevant issues to be decided through wide-ranging consultations among the major powers with a direct stake in the stability and progress of the EAS region. The comparative equations among the EAS powers and their individual levels of comfort in their collective and independent interactions with the U.S. will become evident during the ongoing nuclear security summit in Washington. As Japanese official Kazuo Kodama notes, counter-terror measures in the nuclear domain rather than the U.S. nuclear umbrellas for its allies drives the interactive agenda of this summit. About the bigger global picture, Malaysian Prime Minister Najib Tun Razak has said, in response to a question from this correspondent in Singapore, that the equation between the U.S. and China, as an informal Group of Two, will be crucial within the G-20 framework of dialogue among the major and emerging powers. Given such thinking, the new proposals of East Asian harmony must be studied in the G-20 context as well, not just the ASEAN ground realities. The opening of the ASEAN Charter explicitly mentions public commitment (We, the Peoples) ASEAN member countries to accelerate the establishment of the ASEAN Community based on three pillars, namely political cooperation and security, economic cooperation, and socio-cultural cooperation. Commitment is once again confirmed the Declaration of ASEAN Concord II (Bali Concord II) produced during the ASEAN Summit in Bali 9, October 2003, when Indonesia became the Chairman of ASEAN. The word “We, the Peoples in the ASEAN Charter to show that the formation of the ASEAN community is not the desire of ASEAN member country governments alone, but rather a desire all layers of community members and stakeholders in ASEAN member countries. Through the three pillars of cooperation mentioned in the Bali Concord II and reaffirmed in the Preamble of the ASEAN Charter, it is clear that the upcoming ASEAN community will consist of three communities, namely the ASEAN Security Community (ASEAN Security Community / ASC), ASEAN Economic Community (ASEAN Economic Community / AEC), and the ASEAN Social and Cultural Community (ASEAN Socio Cultural Community / ASCC). To realize an ASEAN Community in 2015, many things that need to be done intensively in order to integrate ASEAN, especially in the early implementation of the ASEAN Charter relating to rules and regulations are still to be formulated together. Here, then take battle of ideas from basic agreements that will set forth in the rules and policies implementation. However, be aware that the provisions of the Charter is not as written in the Charter, but the big concepts that are behind it. That is why all the ASEAN Charter consists of 13 chapters and 55 articles, unlike the EU Constitution which consists of hundreds of articles. The success of ASEAN signed a charter with a strong foundation for the establishment of an ASEAN community and strengthen ASEAN’s role in dealing with a variety of architectural changes in the global cooperation. In the midst of changing architecture of global cooperation and the battle of ideas is the role and bargaining power can be seen in Indonesia translating large concepts into terms that must be mutually agreed. The view that the establishment of the ASEAN Community, Indonesia will suffer because of weak bargaining power of political and economic consequences of national economic position of weakness in the eyes of its neighbors is not strong. It must be recognized since the collapse of the New Order and the 1997 economic crisis is prolonged, Indonesia is seen as a helpless country in the middle of some ASEAN member countries. But beneath it all, slowly but surely, Indonesia began to show its fangs again with the various achievements of reach. In the field of politics and security, pascareformasi, Indonesia became the leading countries that implement democracy in a state of life. Indonesia is located precisely at the front guard of honor as well as enforcement of rights-human rights (human rights). Indonesia’s success in implementing a democratic government to make Indonesia as a democratic country to-4 in the world. In the field of human rights, Indonesia is one of the first country in ASEAN which has a Commission on Human Rights. In the economic field, for sure Indonesia began to show stability in economic growth. This can be seen from Indonesia’s ability to survive the economic crisis greater in 2008. If the 1997 economic crisis only affects the countries of Asia, the economic crisis in 2008 hit almost every country in the world. Evidence that the success of Indonesia in the economic field recognized by other countries seem from the inclusion of Indonesia as one of the G-20 members. All of this success is certainly a valuable asset to fight for Indonesia’s national interests, not only in ASEAN, but also in international forums. 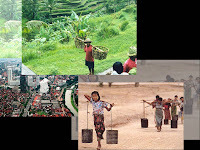 In ASEAN, the Indonesians took the initiative to propose the establishment of an ASEAN community that not only rely on economic cooperation (as proposed Singapore), but there are also other aspects that must be considered, namely political cooperation and security, and then followed the socio-cultural cooperation. Indonesia is struggling for inclusion of essential elements such as democratization and respect for human rights and the enforcement of political cooperation and security was then issued in the ASEAN Charter and the blueprint for political cooperation and security. To demonstrate high bargaining power of Indonesia in ASEAN, can be conveyed that at the beginning of negotiations, Indonesia proposed to include elements of democratization and human rights was opposed by all ASEAN member countries. But with a strong argument based on the experience of democracy and make enforcement and respect for human rights, eventually these elements can enter Charter. ASEAN appearance of new faces showed the ability of ASEAN member countries to conduct themselves in the face benah changes in the global architecture and to deepening and broadening with wicaranya partners (U.S., EU, Australia, New Zealand, India, China, Japan, South Korea, and Russia) . In addition, providing hope that the ASEAN was able to create opportunities and transform challenges into opportunities. As one of the founders of ASEAN, ASEAN alteration in a challenge for Indonesia to better show the new ASEAN kepimpinannya in order to welcome the establishment of the ASEAN community in 2015. There is no ivory that was cracked, so did the role and leadership of Indonesia in ASEAN. Therefore, continued to improve leadership in Indonesia and ASEAN in the interests of our common duty of all to increase the bargaining power of Indonesia. In the economic realm, East Asia may well continue to be a status quo power in the sense that it is not seeking to introduce a radically new economic order although it may want to see adjustments being made here and there. In popular parlance there is talk of revisions to the Washington Consensus, and indeed greater caution about global capital flows is currently a legitimate policy issue in the corridors of the International Monetary Fund, but there is no serious talk about replacing it with a Beijing Consensus. East Asian economic cooperation is about strengthening the economic fundamentals of rapidly growing and rapidly transforming East Asian economies and how to maintain their open economic policies. In the region's current agenda there are the issues of more balanced, inclusive (including socially resilient), and sustainable (including green) growth. This agenda has been set to also adjust the region's development to current and future global challenges. Here, the region developed a mechanism, known as ASEAN Plus Three (APT), that can address these issues and develop cooperation programs to strengthen its capacity to undertake this big task. The APT should be seen as the region's premier economic institution for cooperation. In some areas of cooperation it may make sense to selectively invite non APT countries to take part. Some other areas of cooperation are better suited to be pursued in the APEC (Asia-Pacific Economic Cooperation) process. But the APEC process has its own strategic underpinning, namely by ensuring continued US economic engagement with the region that in turn could help prevent volatile changes in US policies toward the region. Unlike the APT, APEC does not deal directly with political and security issues. The US has also been invited to participate in a regional, multilateral process to enhance regional security, the ARF, also with a similar objective in mind. Unlike the APT and APEC, the ARF does not directly engage the political leaders in a summit process. The EAS, which does not involve the United States, but has been broadened to include Australia, India, and New Zealand, besides the APT members, has been established as a "leaders-led" dialogue forum on issues of strategic interest to the region. This "ASEAN plus six" process has yet to define what it is and to clearly differentiate itself from the APT. There is a tendency to duplicate APT's program but with the involvement of more participants. This will cause of major overstretch of regional activities in many regional countries. In the politico-strategic realm, the region should have an interest in shaping a regional order as well as influence the behavior and interaction of global powers. One basic premise is that while the US appears to be the only remaining superpower she cannot be allowed to go it alone. The US is a Pacific power and it has a great stake in Asia, and therefore, it should be encouraged to participate effectively in a regional structure. The EAS, with some adjustments, could be the vehicle for this kind of engagement. US-China relations will become the most important relationship affecting the region and the world as a whole. While the two countries may be attracted to manage this relationship under a G2 framework, the stability of the relationship can be better ensured if the two powers would make use of a regional, multilateral arrangement that is embedded within an environment of confidence and community building. 1. The ASEAN Plus Three should be the anchor for regional cooperation and community building. Its focus should be on the strengthening of functional cooperation in key economic and social areas. Institutional strengthening should evolve in line with the deepening of the cooperation. In some areas of cooperation, APT programs can selectively invite non-APT participants. 2. The East Asia Summit (EAS) should be developed into an effective dialogue forum of leaders on issues of strategic importance to the region. Concrete proposals for cooperation could be proposed to be taken up by existing processes such as the APT, the ARF, or even APEC. It appears to be essential to bring in the US into this forum, and this process already started with the decision of the ASEAN Summit in Hanoi a few days ago to invite both the US and Russia. 3. If ASEAN is to continue to play as a key driver of the wider regional cooperation processes, ASEAN must realize the ASEAN Community through vigorous implementation of the plans. Otherwise, it would rapidly lose its credibility. 4. APEC remains relevant in promoting trans-Pacific relations, especially in the economic field. It serves to ensure US continued economic engagement in the region and in turn may prevent volatile changes in US policies that will be detrimental to the region. The writer is a senior fellow at the, Centre for Strategic and International Studies, Jakarta. After long disagreement over admitting new members, ASEAN leaders wrapped up their summit two weeks ago in Vietnam expressing encouragement for “Russia and the US to extend their involvement” in the regional forum. The statement comes on the heels of Indonesia and Singapore’s announcement to endorse the US and Russia bid to join in the East Asia Summit (EAS), which brings together the 10 ASEAN member states and China, Japan, South Korea, India, Australia and New Zealand. Singapore has coined the potential formation ASEAN+8. Until recently, both Singapore and Indonesia had resisted moves to admit new members. In a briefing of the ASEAN Summit outcomes on Friday, ASEAN Secretary-General Surin Pitsuwan said the endorsement to admit new members into the EAS was a response to the new initiatives of regional architecture proposed by the group’s members. “Earlier there was a sense of uncertainty of ASEAN’s centrality... That it was being challenged,” Surin told diplomats and reporters at the ASEAN Secretariat. Japanese Prime Minister Yukio Hatoyama has wooed ASEAN support for his initiative of the East Asian Community and Australian PM Kevin Rudd for his idea of an Asia Pacific Union. “Rather than looking at new architectures being proposed across the horizon as a challenge, ASEAN leaders turned around and looked at them as an opportunity for ASEAN and East Asia to look into ourselves. [ASEAN leaders] want an answer to the question from those proposing the new architecture: can ASEAN play the central role and pull the global community out of the global crisis?” Surin said. When The Jakarta Post asked Surin what he preferred to call the new EAS, Surin said: “There are nuances in the names as it would reflect the number, the weight and the size, but we will leave it to the ministers and senior official meetings”. Responding to the idea of new members in the EAS, Japan has said it expected ASEAN to focus first on the existing group that consisted of only 16 members China has said it welcomed the expansion but that integration should remain focused on ASEAN, China, Japan and South Korea (ASEAN Plus Three). South Korea, India and New Zealand said they did not have any position at the moment while Australia has not officially commented on the issue. Your article “ASEAN FM Working on Expansion of East Asia Summit: Surin”, “EAS Expansion a Response to new Regional Architecture”, and “Pacific Countries could boost EAS’ Profile: Expert” dates April 16, April 19 and April 20, 2010 respectively, imply that there has been agreement within ASEAN to expand the membership of the East Asia Summit (EAS). This is not accurate. At the 16th ASEAN Summit in Hanoi, the leaders discussed the feasibility of engaging the US and Russia in the region through either expanding the EAS, or creating a separate ASEAN+8 Summit. In contrast to the EAS, the ASEAN+8 Summit would meet regularly every few years taking advantage of the presence of the US and Russian presidents when they come to the region for the APEC Economic Leaders Meeting (AELM). However, the leaders did not make a decision on whether to expand the EAS or to create a separate ASEAN+8 Summit. Instead, ASEAN leaders have tasked the ASEAN Foreign Ministers to study this issue in more detail and to come up with a recommendation. ASEAN secretary-general Surin Pitsuwan said foreign ministers of the group’s ten member states have been working on the expansion of an East Asia Summit (EAS), following Jakarta’s endorsement to including Russia and the US into the 16-member grouping. “The issue is now in [the hands of] the ASEAN Coordinating Council between foreign ministers. They are looking at how to expand [the group],” Surin told The Jakarta Post on Wednesday. Surin was responding to a press release by the Russian Foreign Ministry on Wednesday, which said that the decision on admitting Russia into the EAS was made during the 16th ASEAN Summit in Hanoi last week. “The issue has not been decided,” Surin said. Russia has been looking to join the EAS for years but ASEAN leaders have mixed views on admitting new members into the group that brings together the ten ASEAN states plus China, Japan, South Korea, India, Australia and New Zealand. Jakarta and Singapore, which previously opposed new members joining the EAS, have recently welcomed Russia as well as the US to join. Jakarta’s shift in foreign policy has signaled its preference for a balance of power inside the grouping that has been dominated by China. The move also aims at maintaining a neutral foreign policy as Indonesia, whose economic growth was the third fastest in the region among major Asian economies, has been courted by many major powers for strategic relations. Centre for Strategic and International Studies executive director Rizal Sukma said the expansion would likely happen as long as it was not aimed at replacing the role of ASEAN Plus Three, which has remained the driver of East Asia integration. ASEAN Plus Three consists of ASEAN countries, China, Japan and South Korea. The expansion of EAS is said to create conflicts of interest between the US and China, which has been at odds over trade, Taiwan arms sales and the Dalai Lama’s visits to the US as well as human rights. Jakarta has taken over the ASEAN chairmanship from Brunei for next year and observers say Jakarta would likely take advantage of its leadership role to launch new initiatives for regional integration. When asked about the possibility of wrapping up EAS expansion next year during Jakarta’s leadership stint, Surin said “We don’t know”. “[But] I am sure Indonesia will be very active, as it is the largest, most active member and the host of the ASEAN secretariat. Since the charter, it has been very dynamic in pushing the community forward. I am sure Indonesia will make a tremendous contribution,“ he said. When Jakarta chaired ASEAN in 2003, it proposed the ASEAN security community, which has became one of the three community pillars of the 42-year-old group. The 16th Association of Southeast Asian Nations (ASEAN) Summit is just days away. One of the pertinent subjects that will captivate the meeting will be the evolving regional architecture and the central role of ASEAN. The ASEAN Economic Ministers who met in February in Malaysia reiterated the importance of maintaining the organization’s centrality in East Asia by pledging to implement their economic commitments and keeping the region open to trade. ASEAN Secretary-General Surin Pitsuwan had earlier warned that ASEAN cannot afford to be complacent if it wants to continue to be the fulcrum of the regional architecture in East Asia and a locomotive for the rise of Asia. Can ASEAN realistically create the ASEAN Economic Community (AEC) that is integrated and outward looking by “process-based regionalism” alone? While “process-based regionalism” — the series of meetings, dialogues, consultations and engagements that ASEAN has put in place for internal economic integration and relations with its major trading partners — has produced spectacular results for ASEAN as convenor of regional meetings and pace-setter for ASEAN+1, ASEAN+3, and East Asia Summit these institutional processes alone may not be adequate to maintain ASEAN’s centrality and to achieve the AEC by 2015. To meet its goals, ASEAN must ensure the substantive implementation of its economic agreements, declarations, plans and programs. I call this form of regionalism supported by concrete results and outcomes based on a structured and rules-based regime “results-based regionalism”. The entry into force of the ASEAN Charter in late 2008 and the adoption of a comprehensive AEC Blueprint in 2007 with specific targets and timelines and a scorecard to track compliance will help to steer ASEAN in the right direction. But implementation is a real challenge that needs to be addressed head on. The first AEC scorecard of October 2009 showed that ASEAN has only achieved about 74 percent in terms of implementing its regional economic commitments for 2008-2009 under the AEC Blueprint. First, the ASEAN countries must ratify agreements that they have entered into. Of the economic agreements only 73 percent of them have been ratified by all ASEAN countries. While the rate of ratification is expected to increase with the AEC scorecard in place now, these countries will have to look at ratifying them in a timely manner so that integration could be speeded up. More importantly, ASEAN countries will have to transpose these regional commitments into national obligations through their respective domestic processes and at a quicker pace. The domestic legal enactments relating to ASEAN commitments could be monitored as part of the scorecard process. A transformation of mindset from “national interest to regional action” to “regional interest to national action” is also necessary for community-building as a whole. The development of an ASEAN single market and production base will require strong regional connectivity in terms of transport links; information communications technology networks; trade facilitation measures, particularly the simplification and harmonization of custom procedures and standards and conformity; energy and food security; tourism and so on. The decision of the ASEAN leaders to establish a high level task force to look into a master plan on regional connectivity is indeed an important step. But this must be tied closely to the resources needed to implement the hardware and software of regional connectivity once the master plan is ready. The ASEAN finance ministers are working on setting-up an infrastructure fund, which would aid the connectivity plan. Third, ASEAN countries should actively address the non-implementation of regional commitments, which should include capacity building to tackle any inadequacies in implementing commitments; peer reviews for sharing and learning of best practices as well as transparency and confidence-building; and utilizing the dispute settlement mechanism already in place to resolve issues in a rules-based manner. There could also be specific target-setting to encourage ASEAN to achieve more. For example, there could be specific targets for bringing down the costs of doing business in ASEAN. A robust regional surveillance mechanism is necessary to track emerging risks and to address them in a timely manner. Fourth, the private sector of ASEAN must be the principal driver of regional economic integration. There should be regular sector-specific dialogues with the business community so that ASEAN can address their concerns and create a more facilitating environment for doing business in the region. More technical meetings of ASEAN in the economic arena could also be opened up to the participation of the business community, where possible. More efforts are needed to better engage the peoples of ASEAN, in particular the civil society, the strategic think-tanks and economic institutes to tap their expertise and knowledge. A good intellectual foundation and peoples’ participation will provide a stronger underpinning for the development and consolidation of the AEC. Finally, if the ASEAN private sector is the “driver” of economic integration, the ASEAN Secretariat must be the “lubricant” of this integration. The ASEAN Economic Ministers at their last meeting had given their strongest endorsement yet for an enhanced role of the Secretariat. 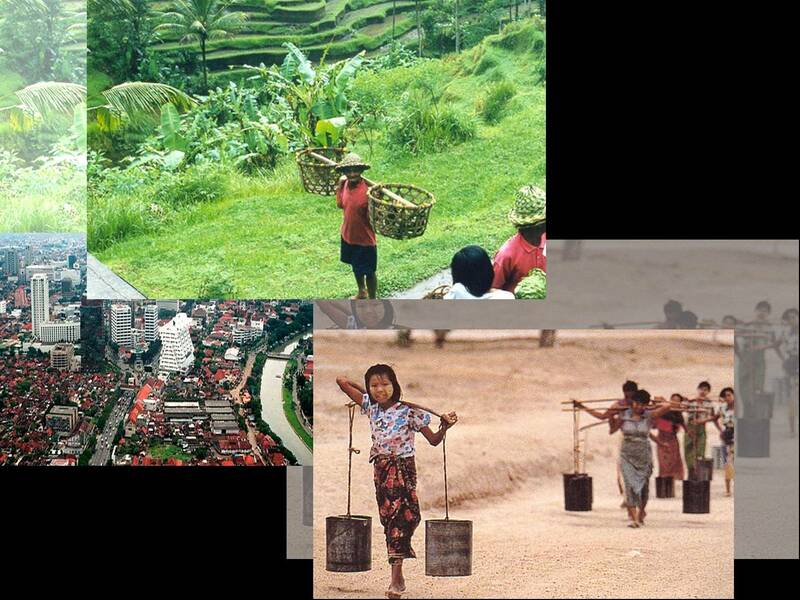 A strengthened Secretariat can contribute more to regional economic surveillance; compliance monitoring; economic dispute settlement; and implementing major economic integration programs funded by ASEAN’s Dialogue Partners. ASEAN must explore the tremendous potential of developing the ASEAN Secretariat and the Committee of Permanent Representatives of ASEAN to become progressive institutions for regional community-building. The time left for the establishment of the AEC is less than six years. A greater sense of urgency is needed. To maintain ASEAN’s centrality in the region and to achieve the goal of AEC by 2015 it is imperative that ASEAN shifts aggressively towards “result-based regionalism”. We must act now. The writer is the deputy secretary-general of ASEAN for ASEAN Economic Community. ASEAN dispute settlement mechanism: Anything new? In the upcoming ASEAN Summit that runs from April 9-11 in Hanoi, ASEAN will sign a historic draft agreement of the ASEAN Dispute Settlement Mechanisms (DSM). It is said that these dispute mechanisms would specifically address disputes arising from the differences in the interpretation and application of the Charter as well as other ASEAN instruments (The Jakarta Post, Feb. 26, 2010). Six years ago, the ASEAN Protocol on Enhanced Dispute Settlement Mechanism, which is aimed specifically at dealing with disputes concerning interpretation and implementation of ASEAN economic agreements, was signed by the leaders of the Southeast Asian member countries. While there is no doubt that this agreement signifies another major achievement for ASEAN, there has not yet been any clear indication that this DSM will trigger any major breakthrough from current procedures currently being conducted by ASEAN. As pointed out by the Indonesian Foreign Ministry official, further negotiation on the possibility to apply sanctions to noncompliant members would be conducted later after the signing of the agreement. It is important to scrutinize later whether this promise has been formally addressed as one of the provisions in the agreement, preferably with a clear timeline. Elaborations on the dispute settlement mechanisms are stated in Chapter VI of the Treaty of Amity and Cooperation (TAC), established in 1976. Basically, the treaty requires the parties to adopt determination and good faith in preventing disputes from arising and shall refrain from the use of force and resort to negotiations if disputes do occur. The chapter also mentions the constitution of an ad-hoc entity, the High Council, which comprises representatives from the ministerial level. What should be highlighted are the functions of the High Council, which are limited only to taking cognizance in disputes and recommending appropriate means of settlement, i.e. good offices, mediation, inquiry or conciliation, where the Council may offer to become a mediator with the consent of the disputing parties. It was reported that this new agreement would include arbitration as well as the potential involvement of third parties, certainly after seeking approval from the disputing parties. No further explanation is provided on whether this third party refers only to the High Council or can be any party that is related to the problem at hand. However, it was interesting when an NGO friend quickly picked up on a slight — what she called a “Freudian slip” up of putting the word “arbitrary” instead of “arbitration” in the comment made by one official from the Indonesian Foreign Ministry, as quoted in the news. All though it is necessity to confirm that “arbitration” was in fact the intended word, the slip-up unintentionally reminds us about the arbitrariness of process, particularly relating to dispute settlement mechanisms that have been within ASEAN. The “arbitrary” process, as we all know, is a logical consequence of the practice of the “ASEAN Way”, which underlines the importance to apply consultation and consensus in decision-making processes within ASEAN, including those attempting to settle any kinds of conflict. If we examine closely Chapter VIII of the Charter on Settlement of Disputes, it differentiates between general disputes and disputes concerning the interpretation or application of ASEAN instruments. Article 25 specifically mentions that for disputes that concern the interpretation or application of the Charter and other ASEAN instruments may use appropriate mechanisms, including arbitration. Outside of those particular disputes, the options are limited to good offices, conciliation and mediation as part of peaceful mechanisms in accordance to the TAC. According to the general definition, arbitration is one of the dispute resolutions that is only one level below the court. The disputing parties may seek the assistance from a third party or parties to become arbiter or arbiters that will review the case and then impose a decision which is binding for the parties. Can ASEAN actually reach that stage where member states are willing to allow third parties the chance to decide for them? Before rushing to answer this question, we might want to know what sort of problems could potentially invoke disputes among the member states that concern the interpretation and application of the Charter and other instruments, and how ASEAN has handled those problems. of democracy and also the promotion and protection of human rights, will most likely be interpreted and applied differently by member states. These principles — despite generally having been supported by member states — are still considered challenges to the comfort zone that has been enjoyed by ASEAN countries so far and have been built upon the strict maintenance of sovereignty and non-interference principles. In this case, the national interest, which as ever exists within the ASEAN mechanism, prevails over the regional interest. The Charter and the subsequent establishment the ASEAN Intergovernmental Commission on Human Rights (AICHR) certainly cannot stop the continuing human rights violations conducted by the military junta in Myanmar or ensure better human rights protection for Indonesian migrant workers and Hmong refugees from Laos. Meanwhile, the AICHR has been denied the ability to accept individual or group complaints concerning serious human rights violations, in addition to the initial rejection by some member countries of giving the commission the mandate to conduct fact-finding missions or monitor functions when human-rights abuses are suspected to have occurred within certain member states. In addition, since member states have agreed that ASEAN should become a people-oriented community, up until now they have not agreed to increase access to civil society organizations to engage in various important meetings of ASEAN, including the AICHR, because it is “intergovernmental” in nature. From these descriptions, ASEAN is ostensibly still unable to settle discrepancies in the interpretation and application of the principles of its Charter. Worse than that, the willingness is also lacking because the member states largely enjoy making decisions via a consensus involving all member states without exception, despite the fact that certain member states have been seen to misinterpret or even reject such principles. A system of imposing sanctions would be one of the best alternatives and would help to improve ASEAN’s credibility. This idea, in particular the suspending of rights and privileges of the ASEAN Council to respond to any serious breach by any member state of ASEAN declarations, agreements, concords and treaties as well as the norms and values adhered to ASEAN, was actually proposed earlier in 2006 by the Eminent Persons Group of the ASEAN Charter. But, then the Charter refers to the ASEAN Summit in making decisions regarding the compliance issue, where once again, consensus would be applied. Finally, leadership is desperately needed within ASEAN to implement an effective dispute settlement process. Will Indonesia take up the challenge? The writer is a researcher at the Department of Politics and International Relations, CSIS, Jakarta. Will ASEAN-China FTA boost Indonesia's agricultural export? Since January this year the ASEAN-China Free Trade Agreement (ACFTA) has effectively worked to eliminate tariffs. The tariff elimination began in 2005 with a gradual decrease in duties, and on Jan.1, 2010 (for ASEAN 6 countries, 2015 for the other members), tariffs were all but eliminated for ASEAN products entering China and vice versa, except for several sensitive products on which duties are still imposed. With the elimination of tariffs, exports will hopefully receive a boost on both sides. The ASEAN Secretariat simu-lated that this agreement will increase ASEAN's export to China by 48 percent and China's export to ASEAN countries by 55.1 percent. But many people in Indonesia are pessimistic about the benefits of the agreement, especially in regards to manufactured products. On the other hand, many agricultural product stakeholders are optimistic that this free trade agreement will boost Indonesia's agricultural export to China. But will it be the case? Indonesia's largest agricultural exports to China in 2008 were palm oil (US$1.5 billion), natural rubber ($851 million), wood pulp ($742 million) and oil palm kernel ($237 million). Palm oil ranked as the country's second largest export to China after liquefied natural gas (LNG). China is an important market for these four products. It is the Indonesia's largest export market destination for wood pulp which comprises 53 percent of total exports of that product, second largest mar-ket for palm oil with 13 percent of total exports and third largest market for natural rubber and oil palm kernel with 12 and 17 percent respectively. From the China's perspective, Indonesia is an important source for these four products. Palm oil comprises 72 percent of China's total imports of the product and the largest, for wood pulp and oil palm kernel ranked second with 16 percent and 32 percent of import share respectively, while natural rubber ranked third with 24 percent of import share. The tariff elimination will decrease the price paid by Chinese consumers of these products and will eventually increase import demand, benefiting the exporting countries. This scenario will happen with the assumption that other competing countries did not experience tariff elimination. Once again, will it be the case? Let's analyze the four products mentioned before. The competitor in palm oil and oil palm kernel exports is Malaysia; meanwhile for natural rubber eight out of 10 ASEAN countries (excluding Singapore and Brunei) export the same product to China, the largest being Thailand followed by Malaysia. Only wood pulp exports are not challenged by a competitor in the ASEAN region. With most major competitors being ASEAN members, tariff elimination will have no effect since all ASEAN countries experienced the tariff reduction. On the other hand, tariff elimination will affect substitute products for products imported from ASEAN countries. For example, elimination of tariffs on palm and oil palm kernel will make these products more competitive against substitute products such as soybean and rapeseed oil, which is not produced by ASEAN countries. Also the tariff elimination for natural rubber will make the product more competitive against synthetic rubber in the Chinese market. This will hopefully increase China's total import of these products from ASEAN countries. Therefore, the tariff elimination will not automatically boost Indo-nesia's agricultural export but as an entry point to increase its market share in China's market. In order to achieve that, the government and business sectors must actively promote Indonesia's products in China. Only then can Indonesia compete with other ASEAN members to grab the increase in imports on the back of tariff elimination in China.